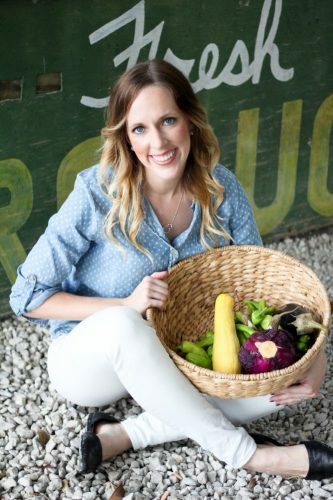 Hi there, I’m Bethany, the voice behind the Kansas City Dietitian. The name, The Kansas City Dietitian was actually kind of an inheritance. My mom is also a dietitian and passed down the name when she retired. I have always loved to cook and experiment in the kitchen. Although I grew up in the presence of an amazing dietitian, I didn’t just fall into it. In fact, it took me a while to come around to it. I started my career in corporate wellness and realized that if my real goal was to help people I needed some specific training. That is when I decided to return to school to become a dietitian. I have called Kansas City home for over 20 years. My husband and I have made our home here with our two children and our sweet pup. As the Kansas City Dietitian, I coach individual clients, provide corporate wellness opportunities, serve as a media spokesperson and I of course blog every once in a while. My specialities are: IBS, the Low FODMAPS diet, GI Issues, picky eating, sports nutrition, and weight management (mindful eating). Contact Bethany to get started on your journey towards better health.